The Durban International Film Festival has announced that the selection for this year's edition of Talent Campus Durban has been finalised. Over 40 young filmmakers representing nearly 20 African countries, including Benin, Botswana, Cameroon, DRC, Egypt, Ethiopia, Ghana, Uganda, Kenya, Lesotho, Mali, Nigeria, Rwanda, Tanzania, Togo, Uganda, Zambia, Zimbabwe, and of course South Africa, will participate in an intensive five-day programme of workshops and masterclasses. The Talents, who were selected through a rigorous application process, will also have the opportunity to attend screenings and events at the 31st Durban International Film Festival. 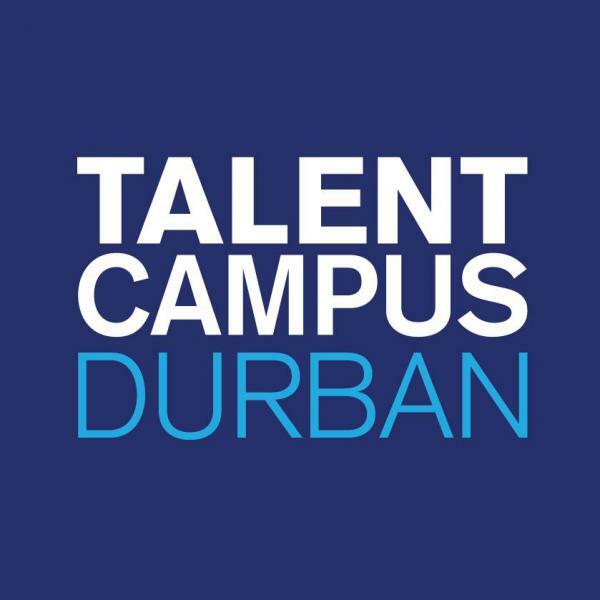 The 3rd Talent Campus Durban, themed Focusing on Africa: Unleashing Talent in 2010, will centre activities on the development and strengthening of partnerships between African filmmakers. Talent Campus Durban is held in cooperation with the Berlinale Talent Campus, the eighth edition of which formed part of the 60th Berlin International Film Festival in February this year. Talent Campus is a global partnership and apart from the main event in Berlin, Talent Campus partnerships take place at selected festivals in Buenos Aires, Guadalajara and Sarajevo. It is a considerable privilege and sign of success of the first two editions that DIFF has again been invited to host a Talent Campus. Monica Rorvik, Assistant manager of the DIFF, comments: "This year's influx of Talent brings an exciting skillset to Campus, with their range of expertise covering acting, editing, directing, producing, and script writing. The Campus will facilitate opportunities to bring Africa's stories to life through the creative vision of these filmmaking talents. While we welcome the new talents with pride we also received the sad news that one of Talent Campus Durban 2009 alumni, El Hadji Samba Sarr (Senegal), died from malaria this month. 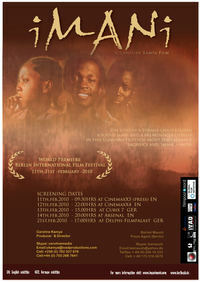 Samba had also been selected for the Berlinale Talent Campus 2010 and had a project entered into the inaugural Durban FilmMart. The Durban FilmMart, which specifically targets African projects, launches at the festival and runs parallel to Talent Campus." Another positive sign is that Durban Talent Campus alumni films appear in all sections of this year's festival, including the feature film category. Ugandan Talent Caroline Kamya will attend DIFF to present her debut feature, Imani, which also appeared at the Berlin International Film Festival earlier this year. The festival will present two first feature length documentaries by previous participants in Talent Campus. Koundi and the National Thursday by Cameroonian Ingrid Atodji is a gorgeous and heartfelt look at life inside a communal society that is negotiating the demands of globalization and the search for uniquely African solutions. South African Carlos Franciso's American Foulbrood looks at the global environmental crisis through the crippling effects of a deadly disease on African honey bees and its possible impact on food production. 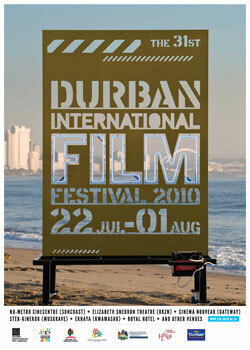 Short fiction films and documentaries are also in the festival from a number of other Durban and Berlinale Film Festival Talents. The 3rd Talent Campus Durban is a partnership project between the Durban International Film Festival in cooperation with the Berlinale Talent Campus, Berlin International Film Festival, and is supported by the German Embassy in South Africa, the Goethe-Institut, and the Department of Economic Development and Tourism, KwaZulu-Natal. The Durban International Film Festival is organised by the Centre for Creative Arts (UKZN) with principle funding and support from the National Film & Video Foundation, HIVOS and the City of Durban.